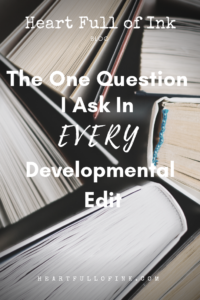 I get a lot of emails from authors asking what they can expect from a Developmental Edit (also known as a Content Edit). While some authors secretly want an editor who will be blown away by their manuscript and love every bit, that’s not what an editor is supposed to do. An editor is supposed to help each author make manuscript the best it can be by digging into each aspect of the story and fixing any weaknesses. 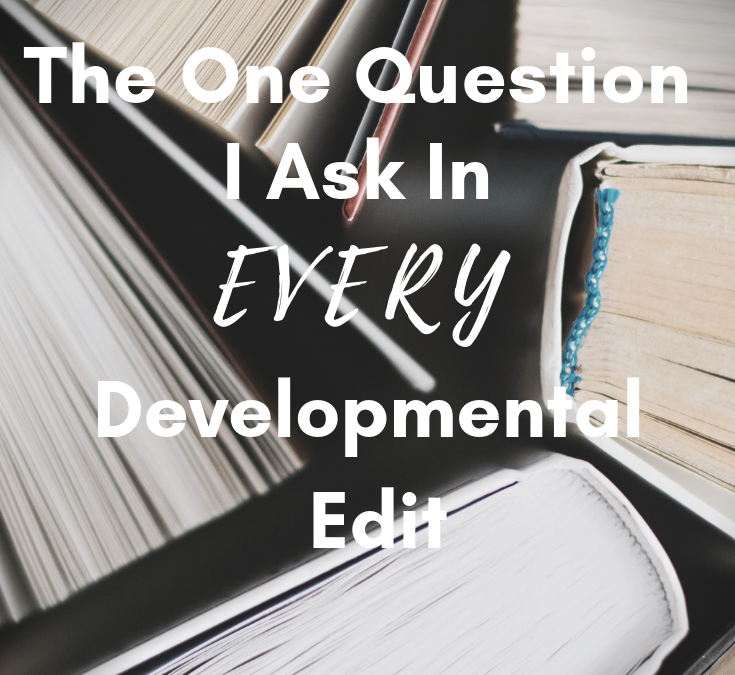 What can you expect in a Developmental Edit? Every editor is different. I always start by asking my authors what they want to focus on in the first round of edits (character development, plot, pacing, or something else). I give more attention to that topic, while still pointing out issues with every other subject. I leave comments in the manuscript as well as writing a 5-10 page report detailing the issues I found, and potential ways for the author to fix it. No matter what needs to be worked on, there is one question I ask in every single edit I do: Why? Why is the heroine reacting this way? Why does the hero love the heroine? Why is the pregnant angel not hormonal like a human woman? Why do these paranormal creatures need human souls? *These are shortened for the sake of the blog post but are all from editorial reports I’ve done over the past year. If the author’s answer is simply, “Because that’s the way it needs to be in the story,” then I work with the author to strengthen that answer. 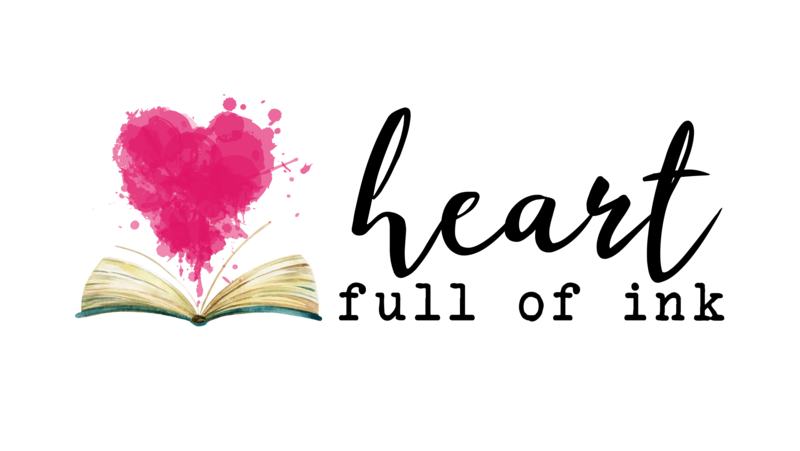 For example, when I asked why the hero loved the heroine, it wasn’t that their love story was weak – it was just that it wasn’t visible to the readers. He talked about her beauty, her kindness, and how perfect she was for him. But because of the plot line, the readers didn’t get to see her kindness. They just saw her beauty, her stress under pressure, and her emotional breakdowns. Together, the author and I worked through the manuscript, adding small details showing her kindness, how unique she was, and little things about her that made the hero forget any other woman in the world existed. That was an easy fix that added depth to the love story. If the author has a detailed answer to the problem, (“angels don’t have the same hormones as human women, and therefore aren’t crazy during their pregnancy,”) then we leave that point as is, and move on to the next problem. As simple as these questions seem, they almost always prompt lengthy discussions between myself and my authors. We discuss the science of the fantasy worlds, the motivations of characters and what is or is not part of their core personality, and how tension affects the plot line. It’s in these discussions that the authors get that “Ah-ha!” moment and then run off to write and fix their story.